Well, it was a great opening at Bundoora Homestead in north of Melbourne. They said that there are 134 entries this year, so, it seems it's getting bigger and bigger. The greatest thing about going to a gallery opening is, of course, meeting creative artists. I had a great chat with her today. Very inspirational. The link to her website is here. Although I didn't win, it was very nice to see some familiar faces in this iconic building. And, there are some great artworks on display. 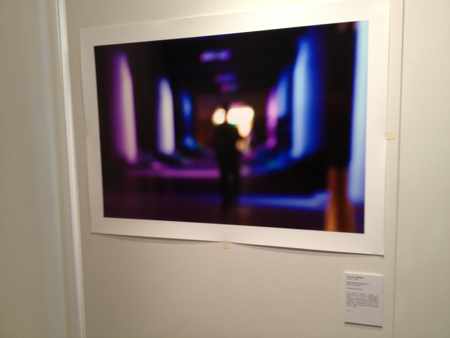 My photo is being shown at a very nice location in a room upstairs. It's really great to see my work exhibited very nicely like that.